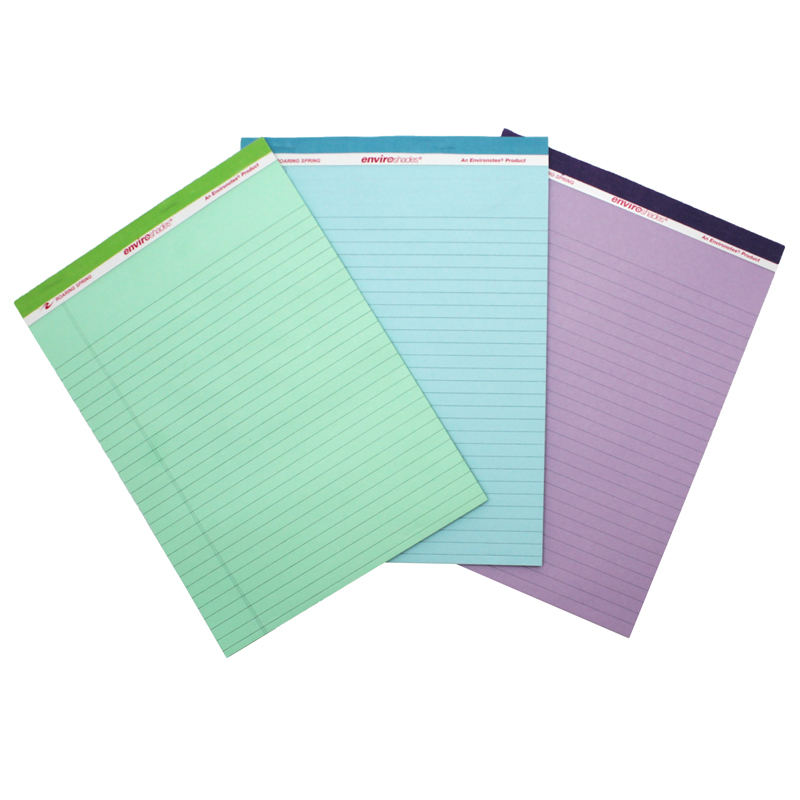 Assorted color legal pads. Smooth, 15lb writing paper has legal ruled blue lines and double red margin lines. Sheets are micro-perforated for EZ removal. Paper is recycled, containing a minimum of 30 percent post-consumer content. 34pt chipboard backs add stability. Each pack contains 3 pads, 1 each of purple, blue, green. Stapled and taped construction. Full sheet size is 8.5" x 11.75", and tear-out size is 8.5" x 11". 40 sheets in each pad. Proudly made in USA!